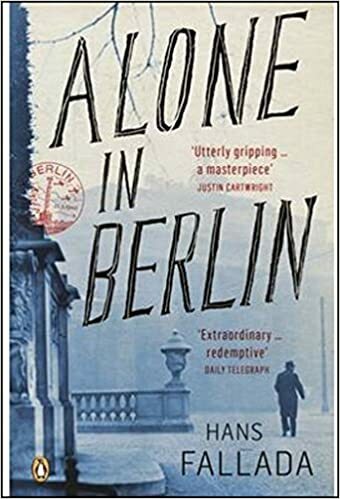 This is such a rich, multi-layered novel that a short review can’t hope to do it justice, and there are many more characters than I’ve mentioned, which helps to explain why it is so many hundreds of pages long (more than 800!). What I loved the most about it is its characterisation; I felt, by the end of the novel, that I knew each of the characters intimately. They could have been sitting in the room with me, they had become so alive in my imagination. Each character – from the fascinating, desperately tragic Agnes, to William’s hilariously vile university friends – is finely drawn with such attention to detail to the vagaries of human nature. While both Sugar and William do unforgiveable things to one another, their behaviour is perfectly justifiable within the context of their life experiences, and the reader is pulled in all sorts of moral and emotional directions, especially towards the end of the novel as the story builds to its shocking conclusion. It is a marvellously imagined tale that brings the grimy, reeking, cacophonous streets of Victorian London to life, alongside the quiet, ordered, plush-lined and candlelit parlours of the Victorian domestic interior. The lives of women – sequestered, marginalised, abused, controlled – in various ways, for various reasons, for various purposes – are sensitively, powerfully and sympathetically drawn. I loved every minute of it, and had a period of mourning once I had finished, so sad was I to leave its world behind. Yes, it’s ridiculously long, but it really is worth every page. I was only sorry to have left it languishing on my shelf for so long! If you haven’t given it a try yet, I encourage you to give it a go! I’m so glad you loved it too! Though the thought of rereading it at the moment brings me out in a cold sweat…so many pages! Long time lurker, first time commenter (I love your reviews which are always so insightful and your choice of books, too): There is a wonderful adaptation by the BBC with Romola Garai as Sugar! Hello and thank you for commenting for the first time! It’s lovely to hear from you! Yes, I am going to watch it now I’ve finished reading – I love Romola Garai, so I’m really looking forward to seeing how she brings Sugar to life! Oooh, thank you for this comment – I didn’t know this and will now search it out. I don’t know whether it was a case of just. It being in the right move but my reaction to this book couldn’t have been more different. I’m afraid I found it tedious….. So did I. Straight to Oxfam and I normally find it hard to part with books. Oh no! I can see how it’s not for everyone. I did skim over a lot of the excess description, I must admit! Thanks Tanya! I hope you’ll give it a go. I can’t wait to watch the TV adaptation now! This review is so winderful I bought the kindle book with whispher sync so I can read and listen. I can’t hold big books for long in my MS effected hands so this is a good compromise. I think it will make a winderful reading project this winter (June) after I return from a month long overseas trip. Something to look forward to. What a compliment! I’m so glad I intrigued you enough to make you want to get hold of it and I hope you’ll love the reading experience. Listening to it sounds like an excellent idea, too. You must let me know how you get on with it! This book has been on my wishlist for years, and yet… Firstly, I’m still not sure I really want to spend so much time reading a historical novel when there are so many actual Victorian novels to be read. Secondly, Faber seems to have put so much research into this, so much 19th century bric à brac that no Victorian novelist would have bothered with, I quite understand why Karen found it tedious. I found a reviewer who wrote: “read the first 300 pages, don’t bother with the rest”. So I’m still in two minds about it. could start reading it and simply drop it without qualms (I usually hate not finishing a book). Izzy, I am normally the same about neo-Victorian novels, but this does offer something genuinely different. It’s a very interesting narrative voice, too, which sets it apart somewhat. There IS a lot of detail, but it does transport you wonderfully into the world. My take on historical fiction including detail that no novelist of the time would is that people of the time would have been able to make inferences about the setting etc based on experience that people reading now don’t have, hence the often excess of detail some readers can find irritating. I think if you can get past that, you’ll hopefully find a story you can love! Or just watch the TV adaptation…I mean it IS a very long book so I wouldn’t blame anyone who just wanted to watch it instead! Ha! I know. And actually I don’t think you’d like it! This book does seem to divide people in their opinions of it. It’s some years since I read it, and although I found the story telling great, the book also irritated me. I thought the main character unrealistic – I don’t think a child of a slum brothel owner would be able to pass herself off as a lady, which she did towards the end. I also thought the ending unresolved. I assumed that was because there was to be a sequel, which there wasn’t. However, perhaps I’m being picky, as I know a lot of people have loved the book. That’s really interesting, Michelle Ann. I loved the unresolved ending – I loved being able to imagine for myself what might have happened. And where Agnes might really be…and whether she was going to take Sophie to her? I also did believe in Sugar – I think it was interesting how Faber explored how women were perceived and what set a ‘lady’ apart from a whore – dress being a huge part of it, but bearing and confidence, too – Sugar had so much confidence that I could see that people would believe in her being ‘better’ than she was. Afterward, Michael Faber brought out a book of stories set in the Crimson Petal world – The Apple: Crimson Petal Stories – but I never read it. I looked at it and its in my library but somehow it just never worked for me. I would recommend reading it soon after finishing the big book, while the world is still real to the reader. I didn’t know that, Gina – thank you for mentioning it. I’ll have to have a look, though I wonder whether I haven’t had enough of the world for the time being! I absolutely loved the first two thirds of the book – it was so immersive in the time period. I actually would have liked the book to be longer, because the last third felt sort of rushed and less detailed – I’d settled into a pace and I didn’t appreciate the change. But I really rate Michel Faber as a writer (I loved Under The Skin, and The Book of Strange New Things was amazing) so I will definitely be looking out for the Crimson Petal Stories. I loved it too, but I do love an enormously fat historical fiction book — particularly Victorians and neo-Victorians. This one seemed to get all the details right. I haven’t read anything else by Faber but I think his other books are quite different.